Rich Arena helped his Florida Gators to a big win in February 1986 - a 19-0 win over Florida A&M, The Gainesville Sun wrote. The unusual part for Arena was how he helped them. The light-hitting infielder hit a grand slam, The Sun wrote. "I was just trying to hit the ball hard," Arena told The Sun. "I wasn't thinking home run. I haven't hit one out since I was 17. ... When I first hit it I just said 'wow' and I thought I could get a triple. When it went out, I was ecstatic." Arena eventually finished out at Florida and he moved to the pro ranks. His bat, though, he left that behind. He went straight from playing in college to coaching and he soon found himself in the minors. He later scouted and coached in high school. Arena's professional coaching career began by 1989, when he was assigned to coach short-season Oneonta with the Yankees. Arena played his high school ball at Tampa Catholic High School, helping the school to the 1982 state championship. His play there earned him induction into the school's Hall of Fame in 2011. For college, Arena started out at Hillsborough Community College in Tampa, hitting .421 one season. He then moved to the University of Florida. Arena singled and scored the winning run in a May 1986 game with Florida. Arena took a starting spot mid-season that year and ran with it, The Sun wrote. By mid-April, he had a 12-game hitting streak going. "Rich has earned his way on this team," coach Joe Arnold told The Sun. After playing at Florida, Arena returned to Tampa Catholic to coach. He also coached at Tampa Prep, according to his ProCards card. 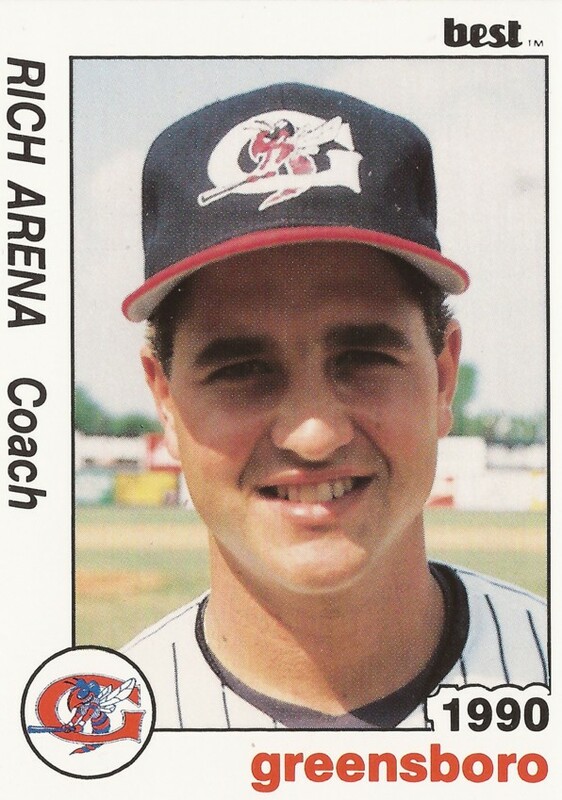 In 1989, he was with the Yankees at Oneonta as a coach, moving to single-A Greensboro for 1990. He coached at high-A Prince William in 1993 and later scouted for the Yankees. By 2007, he was back at Tampa Catholic as a coach. In March 2008, Arena watched his team put on an offensive show itself in a 9-4 win, according to The St. Petersburg Times. "We got a couple home runs, and our bats are definitely coming around," Arena told The Times. "I've always had confidence that we were going to swing it, and the guys are getting settled in."